One of my favorite vampy colors! 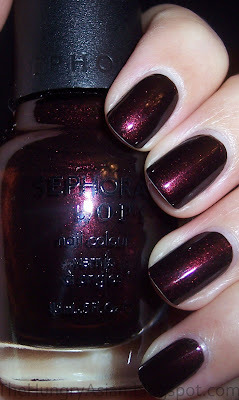 I'm With Brad has a pretty burgundy shimmer. I just love dark colors on short nails. I'm wearing 2 coats with a coat of SV.